Christian Care is very blessed and grateful for the ongoing generosity and support of our community. It is because of you - the many individuals, businesses, groups, organizations and foundations- that we have been able to provide services for over 100 years for those in our community who are vulnerable and less fortunate. Thank you. Build a Bridge Back Home: Check out our homepage to learn more about this important monthly giving program. Special Projects: Sponsor a canned food, clothing or paper products drive. 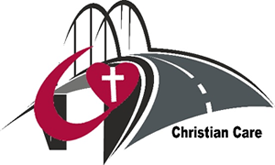 To set up a special project, please contact Steve Gottcent, Community Outreach Coordinator, at (309) 786-5734 or email at sgottcent@christiancareqc.org. AmazonSmile: AmazonSmile is a simple and automatic way for you to support Christian Care every time you shop, at no cost to you. Go to smile.amazon.com and search Christian Care Rock Island as your charitable organization. Professional Services/Volunteer: We are always seeking individuals who can provide professional services or volunteer services which will benefit our clients directly. To learn more about becoming a volunteer at Christian Care, please contact Steve Gottcent, Community Outreach Coordinator, at (309) 786-5734 or email at sgottcent@christiancareqc.org. A Gift That Lives Forever: Often a financial gift given directly to Christian Care can forever continue your desire to help those experiencing homelessness. It may be a gift in your will, a gift of real estate, life insurance or even your required minimum distribution from your IRA. Let these gifts be an everlasting commitment to your solidarity with those who find themselves in very difficult situations. If you wish to talk further, please feel free to contact Frank Roe, Executive Director at (309) 786-5734 or email at froe@christiancareqc.org. Please feel free to contact us at any time if you have questions about how you can help!